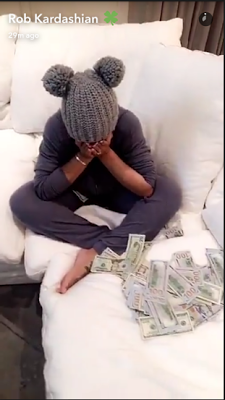 Rob Kardashian showered his financee and baby mama with stacks of $100 bills on Snapchat. "Chyna is about to be so mad at me" he said before he threw the money at her. 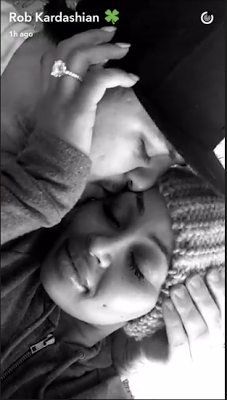 Blac Chyna looked pissed and confused at first but shortly after, the two began to kiss and make out passionately.